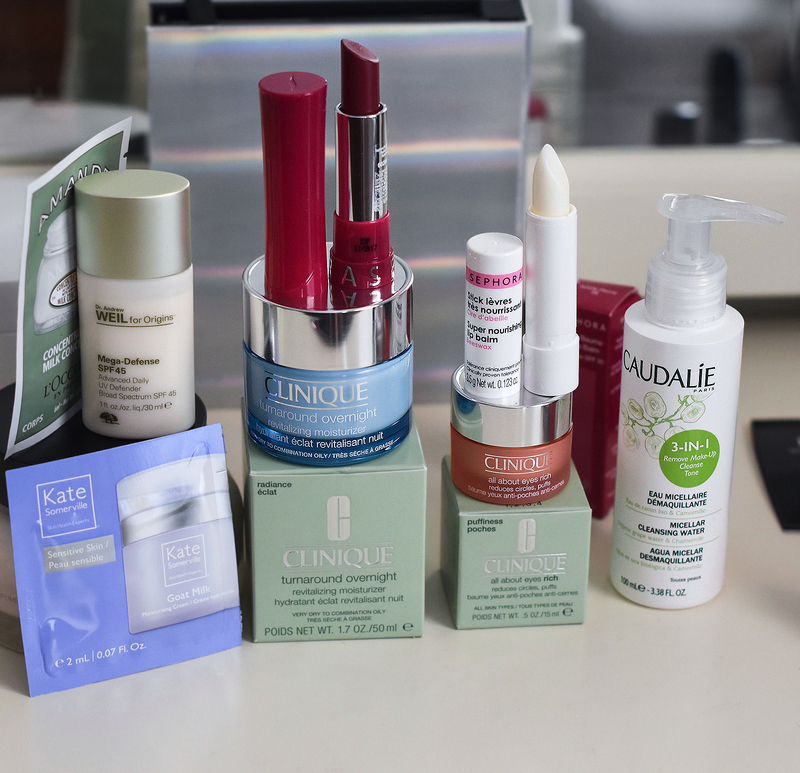 Today I want to show you guys a few skincare products that I bought recently. I haven't tried this Dr. Andrew For Origins sunscreen yet as well as Sephora Collection Rouge Balm SPF20, so I can't say much aboute them, but I already used this Caudalie Micellar Cleanser Water a few times and I absolutely love it. It takes off my face and eye makeup without leaving my skin dry or irritated. I also tried Sephora Collection Super Nourishing Balm (clear color) which is wonderful and it's only for $4. It has a vanila scent (if I'm not wrong,) but it doesn't bother me other than it makes me want to get some dessert and eat haha. It's super nourishing so I'm glad, I ordered. The reviews of these Clinique eye and face moisturizers are coming soon so I will not talk about them here. Have you tried anything from these products? Let me know in the comment section below. Oh wow you got so many goodies! I love Clinique products so I'm looking forward to your review! Have a fabulous day as well! Those products look very good! I've tried Clinique face cream and it is very good! You got some lovely things. I love the look of the lipstick. What a great haul! Can't wait to hear more about them and love that lip balm! LOVE Sephora! Looks like you got some great stuff! It looks like you've got a great range of products here, girlie! 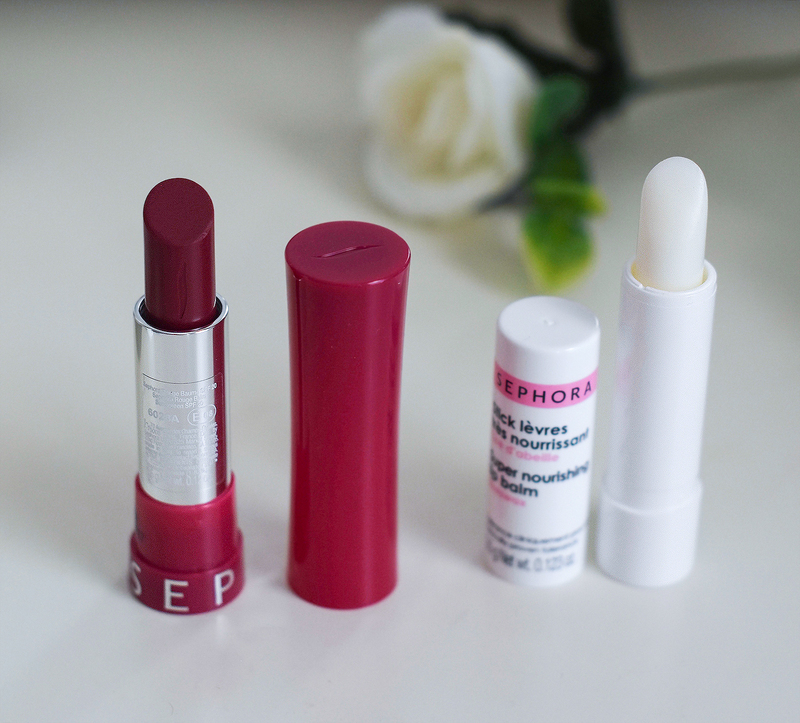 I'm most interested in the Sephora lip products because come summer, my lips become increasingly sensitive. I'll have to check them out, let us know how you like the SPF balm. Thanks for sharing and I hope you have a great day, beauty! I will sure let you kow how I like this Lip balm with SPF, Jalissa. I know my customer whom has a very sensitive skin swear by Dr. Andrew for Origins so it'll be interesting to see how you like the product. I can't wait to see how it will work for my skin Shireen. and sure I will do a review too. 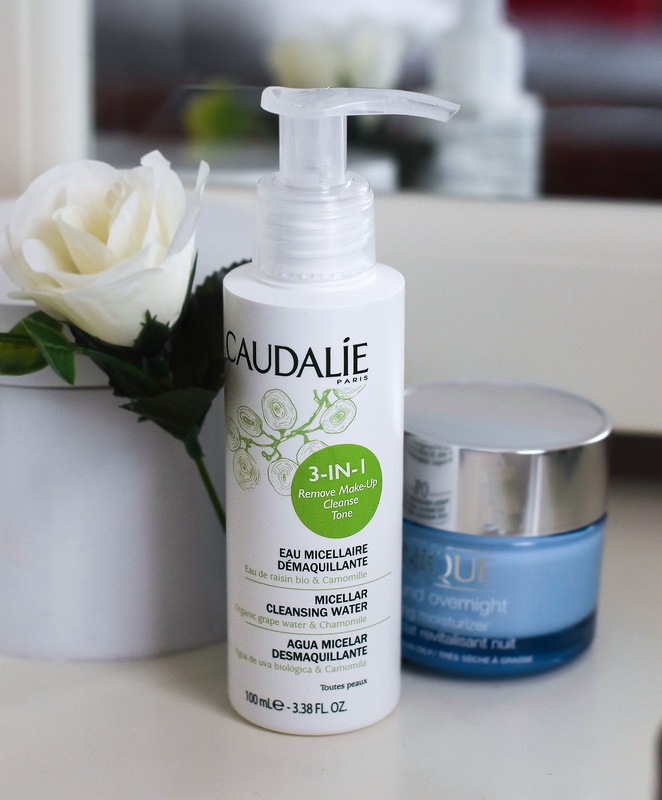 I love the Eau Micellaire from Caudalie, that's a must for sure! Glad to know you're loving it! You got quite great products. I'd really like to try that nourishing lip balm. I'm a big fan Clinique moisturizers, especially the gel one! OMG you've got so many amazing items. I think I had the Eye Cream once, but I am not sue if I liked it or not. It was before blogging, so I have not written it down. I didn't know Caudalie had a cleansing water- NEED IT! I always love a good cleansing water, especially micellar. Sounds like a great haul! Great picks! I get so excited when I go to Sephora that I get overwhelmed and don't think properly!! I need to bear these products in mind next time! How interesting!! Great reviews and thanks for sharing! Oh, these products are just love. Perfect regimen to care for the skin. I love Sephora! Such a great selection too for your skin regimen! I like Clinique skincare, especially their exfoliating toner and Take The Day off balm, although there's loads I'm yet to try. Great picks. and sephora is one of the best Beauty products. I am so happy that there opened the first store in Germany. These products seem so great, need to try them! Thanks for sharing! Now I'm especially interested in this rouge balm and I must check if I can get it! Looks like a agreat prducts!! Thanks for sharing!